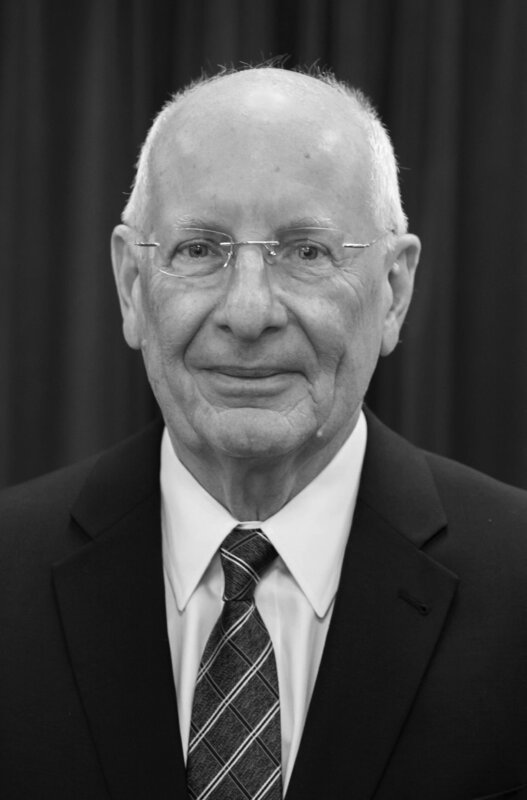 Retired Justice Paul Pfeifer grew up on his family's dairy farm near Bucyrus and still resides just down the road. His first job after graduating from The Ohio State University School of Law was as an assistant attorney general trying eminent-domain cases associated with the building of Ohio's highway system. Traveling the state gave him an appreciation for Ohio's county courthouses, architectural jewels that are the crossroads of life in our towns and cities. In 1972, Retired Justice Pfeifer became a partner in the law firm of Cory, Brown & Pfeifer, where he practiced — primarily as a trial and tax lawyer — for 20 years. He also served several years as an assistant county prosecutor. Retired Justice Pfeifer served in both houses of the Ohio General Assembly, including one term in the House of Representatives and four terms in the Senate. He held a variety of leadership posts in the Senate, and served as chair of the Senate Judiciary Committee for 10 years. His proudest legislative accomplishment was crafting the legislation creating the Ohio Tuition Trust Authority. Retired Justice Pfeifer was first elected to the Supreme Court in 1992. Upon retirement from the Supreme Court, he became the Executive Director of the Ohio Judicial Conference in January of 2017. Judge Stephen W. Powell was elected to the Twelfth District Court of Appeals in 1994 and was re-elected in 2000, 2006 and 2012. Prior to assuming the duties of an appellate judge, Judge Powell served as Butler County Probate Court Judge from 1990 to 1994, and as Butler County, County Court Judge from 1988 to 1990. Judge Powell was in private practice from 1981 until 1991 when he assumed the bench full time. During that time, Judge Powell served part time as a Township Trustee in West Chester, Ohio, and as a part time referee/magistrate in the Butler County Domestic Relations and Juvenile Courts. Judge Powell was admitted to practice in Ohio in November of 1981, and to the Federal District Court, Southern District of Ohio, in 1982. Judge Powell is the Past Chief Justice of the Ohio Court of Appeals Judges Association and is the incoming First Vice Chair of the Ohio Judicial Conference. Judge Powell chaired the Governor's Ohio Department of Developmental Disabilities Victims of Crime Task Force. Judge Powell has taught for the Ohio Judicial College. Judge Powell has served on the Ohio Judicial Conference Legislative Committee and Probate Law & Procedure Committee and his memberships include the Council of Chief Judges of State Courts of Appeals, the Ohio Court of Appeals Judges Association, the Ohio Common Pleas Judges Association, the Ohio Association of Probate Judges and National College of Probate Judges, the Ohio Municipal and County Court Judges Association, the American Judicature Society, and American Bar Association, Ohio Bar Association, Butler County Bar Association, Warren County Bar Association, Clermont County Bar Association and Cincinnati Bar Association. Judge Powell has been "Highly Recommended" by the Butler County Bar Association Judicial Screening Committee. Judge Powell was born in Hamilton, Ohio, on January 25, 1955, was raised in Fairfield, Ohio, and graduated from high school in Falls Church, Virginia, in 1973, while his father, Walter E. Powell, served in Congress representing Ohio's Eighth Congressional District. 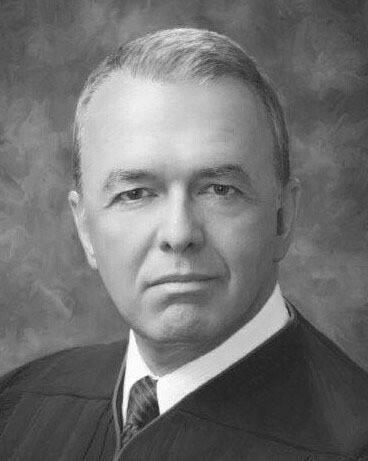 Judge Powell received his bachelor's degree from Heidelberg University in Tiffin, Ohio, in 1977, and his law degree from the University of Dayton, School of Law in 1981. Judge Powell resides in West Chester, Ohio, with his wife Susan. He has two sons, Eric (Wendy and a granddaughter) and Michael. He has five stepchildren, Jessica (Kevin and three grandchildren), Kristin (Michael), Cheryl, Jaclyn (Patrick) and Thomas. Judge Powell's past and present civic involvement includes Elder-West Chester Presbyterian Church, St. Ann Catholic Church (conversion at Easter Vigil 2011), West Chester Liberty Community Foundation of Butler County, West Chester Township Library and Parks Committees, and United Way of Butler County. He is also a Kentucky Colonel. The Ohio Judicial Conference is an independent statutory entity within the judicial branch of government. To consider the business and problems pertaining to the administration of justice and to make recommendations for its improvement.